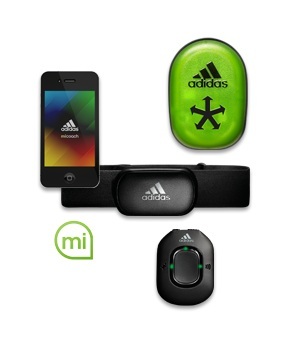 Adidas has filed a $10 million lawsuit against THQ for its failure to complete a fitness game based on the miCoach. Because there's not already enough bad news on THQ's plate, here's another serving: sport duds company Adidas wants $10 million from the publisher for breach of contract relating to its failure to publish a game based on the miCoach, an athletic motion-tracking device intended for use as a coaching tool. The game was tentatively entiteld MiCoach 24/7 and was supposed to launch in January 2012, but THQ informed Adidas in December 2011 that it would not be able to finish the game. It will probably come as no surprise that the failure to deliver was caused by THQ's recent financial struggles. Sales are way down, the company's share price has sunk so low that it faces NASDAQ delisting and it has been forced to impose major layoffs, which included employees on the MiCoach team. Adidas has also accused THQ of refusing to turn over MiCoach-related materials to its choice of replacement developer. The lawsuit claims more than $10 million in damages as a result of THQ's inability to deliver and also seeks an order that the publisher not sell or transfer the rights to the game. THQ's share price is currently floundering at around 50 cents, half of the minimum $1 price it needs to achieve in order to remain on the NASDAQ.